Drawing is one of the best ways to give shape to your ideas, imaginations or the fantasies. If you are someone who can draw well, then I am sure the art of drawing has surely provided you with a mindset, that how to think clearly towards a particular object and give it a perfect shape. Other than the fantasies drawing you can draw some real object by the help of drawing the objects which actually exist around us. In today’s topic we are going to teach you to draw one of those objects which we generally know as a goat. A goat is a very beautiful animal which represents the rural beauty of a particular region, and for this reason many of us tend to shape this beautiful animal on a sheet of paper. 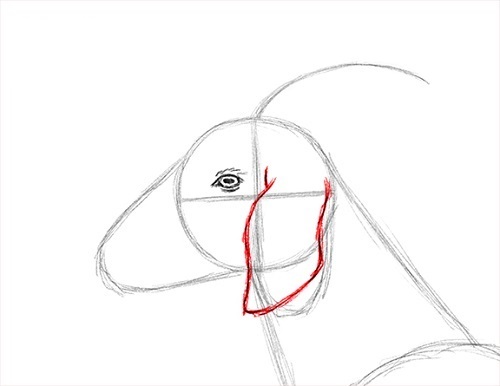 The head of the goat is the important element of drawing a goat since the head of the goat provides the real shape and the outlook of a goat to this animal the rest of the body may resemble to some other animals too. Draw a circle on the two bigger circles that are drawn for the lower body of the goat. The upper circle is drawn for the head of the goat and make sure the upper circle should be one fourth of the circles that are drawn for the lower body. Now inside that upper circle draw two lines which should be in the intersection mode and then draw a U shape arched curve in the left side of the upper circle. After that you need to draw the smaller U shaped curve under the upper circle, this is for the ear of the goat. Now come at the top of the upper circle means the head of the goat and draw a line in the shape of the curve on the top of the head which is going to be the horn of the goat and finally draw the two lines under the head, which should be meeting the lower two circles of the goat and it will be the neck of the goat. If you are willing to draw the beautiful animal goat and seeking the step by step guide to do that don’t worry we will help you with that. First of all you need to draw an oval in the center of the page this oval should be slanted a bit towards the right. Next draw two V’s which should be connected to the oval in the upside down position. Next we need to draw the ears and for that we will draw two another small sized horizontal ovals on the large head oval. 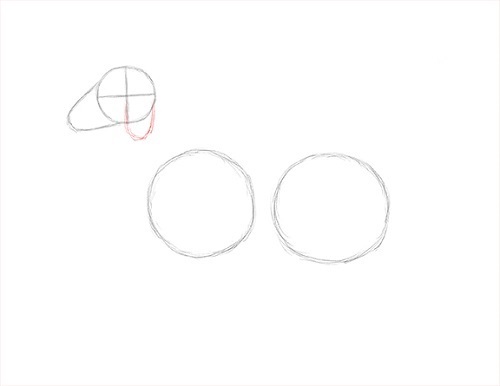 Now let’s draw the eyes by drawing the two small circles in the oval and the eyes should be looking down. There comes the pupil next put the two dots inside the oval at the bottom side where the mouth will be. Now to create the mouth we need to draw a small line which should be going up in the diagonal direction from the bottom. Next under the mouth you need to create the beard to the goat. 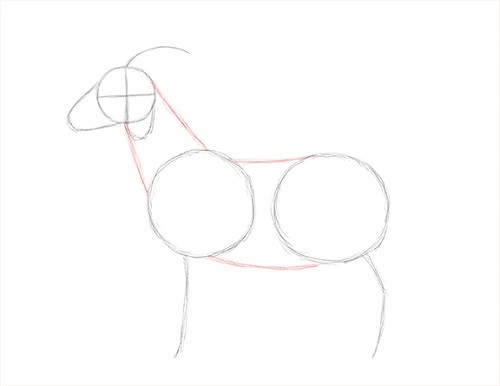 Now let’s draw the neck of the goat which can be drawn by drawing the two lines downward. These lines will meet the two large circle which are made for the lower body frame of the goat. The two big circles will meet and create the lower body full frame. 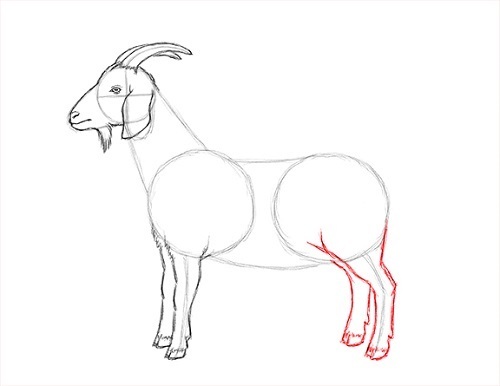 If you are a beginner and planning to draw a beautiful animal goat then we will help you in that direction. We must say that your choice of drawing a goat as a beginner is going in the right direction. 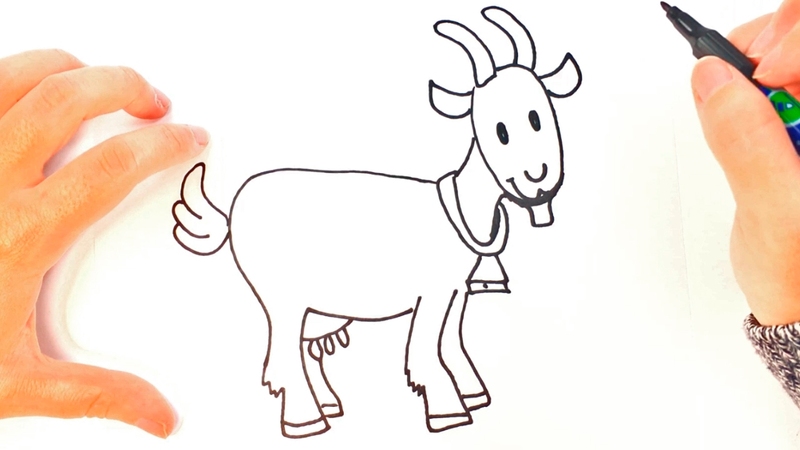 Drawing the goat and such animals is the best way to enhance the drawing skills. 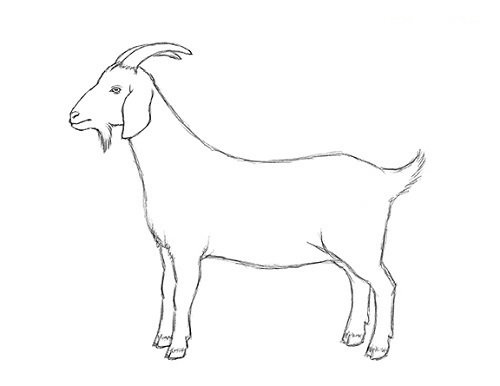 If we talk about the easy way to draw a goat then we would say that the drawing of the goat should always be starting from the head of the goat which is the important element of the goat. 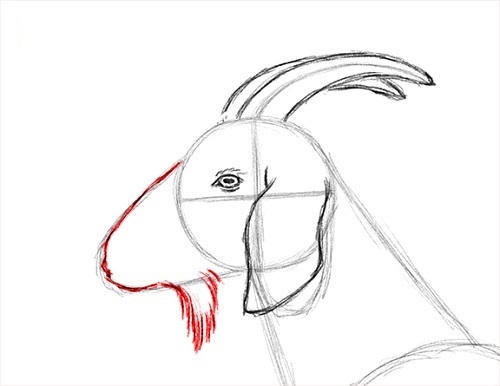 The head provides a real outlook or the shape to the goat so start from the head and then go to the facial structure. There you will draw the basic things such as eyes nostrils and the structure of the mouth. After drawing the facial structure or the head you should draw the neck, and then the lower body. 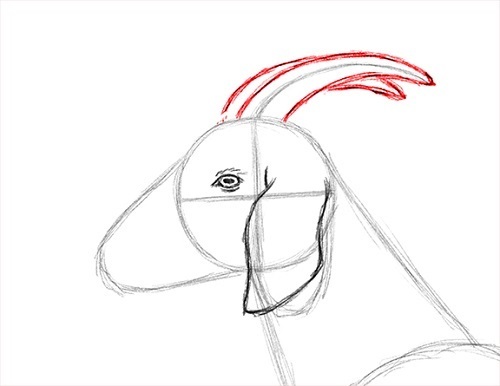 You would find it easy to draw the body now, since you already have the head of the goat which will guide you to draw the rest of the body in the same proportion. Well drawing the face of the goat is not a that tough task in drawing the goat. 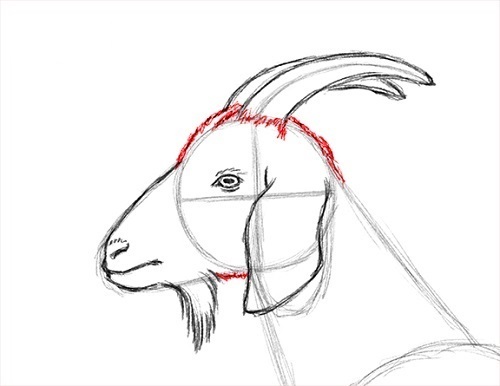 Before you draw the face of the goat complete drawing the head of the goat along with the horns of the goat at the top of the head. Now come inside the head circle of the goat and there you draw the face of the goat. 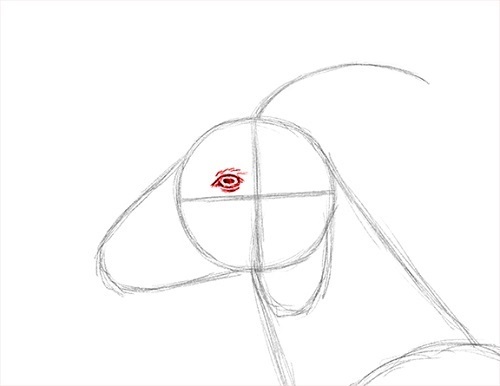 Start from the eyes of the goats draw the eyes by putting the two small circles in the head oval, and then draw the pupils by putting two small dots in the bottom of the head oval. Under the head oval you will draw the beard for the goat and with that you will be done with the face of the goat. The cartoon goat and the real appearance got don’t have much difference between them the only difference is of appearance. With the real resemblance goat is made using the fine pencil, and giving the as it is a real shape to the drawings of the goat there are made no unnecessary changes to the real resemblance goat, which may vary from the real appearance of the goat. While in the case of the cartoon goat the outlook which is given to the goat is subject to the more artificial changes which give the goat an outlook more of the anime zone. Since both of these goats are used for the difference purposes the way of drawing these goats remain the same subject to some artificial or the cosmetic changes in the cartoon goat. 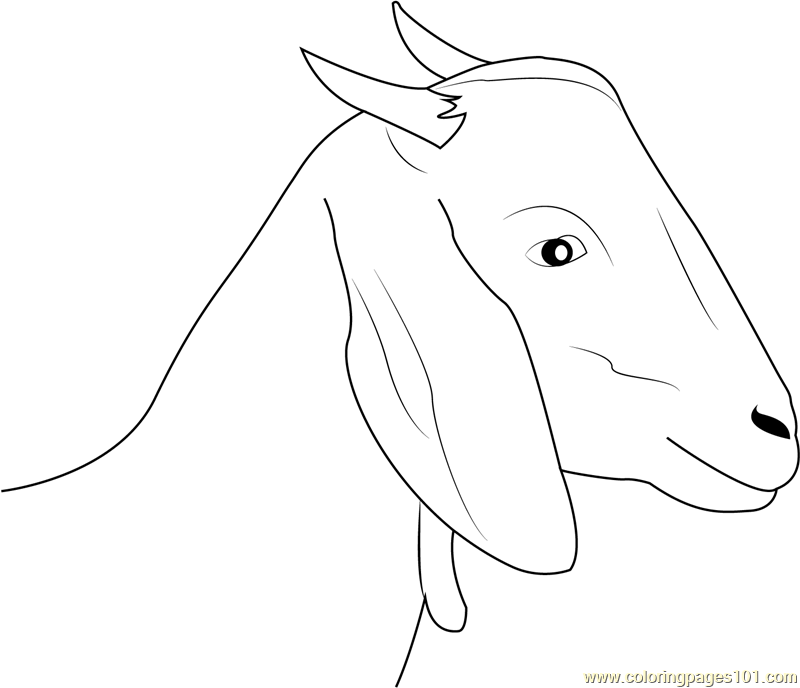 You may see the above section to know how to draw a goat using the step by step method.